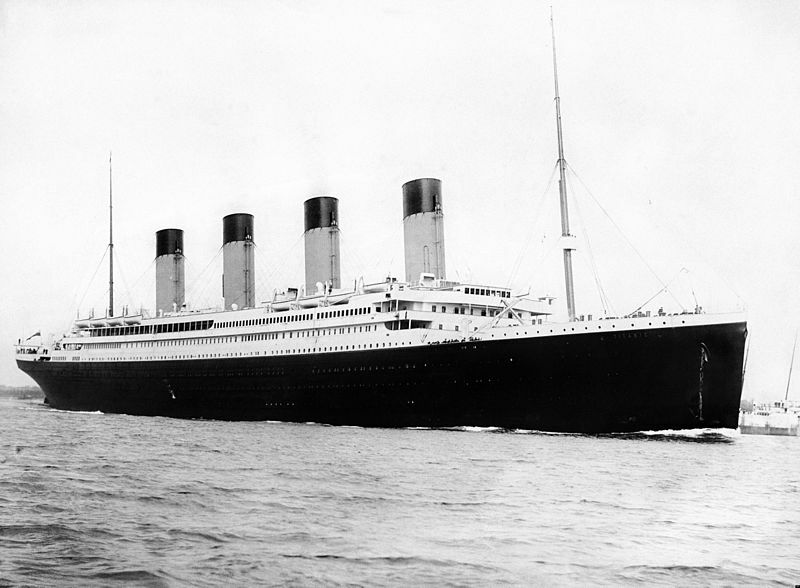 April 15 1912, the unsinkable... sank. Today marks the 100th anniversary of the tragedy that occurred 640km off the coast of Newfoundland. Out of the 2227 or so passengers on board (no definitive list of passengers), about 710 survived the tragedy. Due to outdated maritime laws, she only had enough lifeboats to carry 1,178 people, which is about 53% of her total passengers on board. The RMS Titanic leaving Southampton on April 10, 1912 - image from Wikipedia. Nothing is unsinkable, even space shuttles explode. Travel first class...better chance of survival. Never be a ship musician...You go down like Nero. They were the unsung heroes on board the ship. An important outcome from this tragedy was the establishment in 1914 of the International Convention for the Safety of Life at Sea (SOLAS), which governs maritime safety up till today. May they all rest in peace. Requiem aeternam, dona eis requiem aeternam. Man invented the strongest, biggest or tallest stuff...but I don't think we can ever beat nature force. Same apply in the gardening world too...Probably the reason why natural selection of genetic diversity is important. Human can make hybrids for resistance but pest and diseases evolve too for survival. That's so true. We try to build the best...but Mother Nature has the last laugh. Which is why we need to keep all the diverse but economically unimportant plants/crops alive. We might need it in the future when the pests evolve or climate changes and all the commercially available hybrids fail. It was a horror and tragedy when it happened, bringing along with it the hopes and dreams of so many people. So sad it was on its maiden voyage. After seeing the movie, now I think of titanic with a tinge of romance as well. That is so true. A lot of hopes were kindled, and then put out in a matter of days...the love, the lives of those on board.